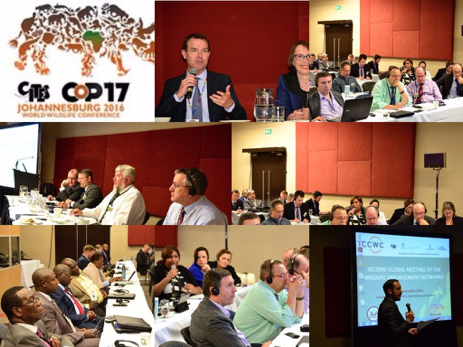 The CITES Secretariat, on behalf of the International Consortium on Combating Wildlife Crime (ICCWC), and with generous funding support from the Department of State of the United States of America convened the Second Global Meeting of Wildlife Enforcement Networks (WENs) alongside the 17th meeting of the Conference of the Parties (CoP17) to CITES in Johannesburg, South Africa, in September 2016. The meeting promoted the sharing of information on best practices and lessons learned about the establishment and functioning of WENs, further strengthen networks and enhance cooperation and coordination among them. It brough together network representatives, wildlife law enforcement officers, and international organizations and other relevant organizations from around the world to share experiences and consider measures to further strengthen WENs, promote their operational effectiveness, and enhance cooperation and interaction amongst them. Asset Recovery Inter-Agency Network South Africa (ARINSA); Central African Forests Commission (COMIFAC); Central America WEN (Red de Observancia y Aplicación de la Normativa Silvestre para Centroamérica y República Dominicana (ROAVIS); China National Inter-agencies CITES Enforcement Coordination Group (NICECG); European Union Enforcement Working Group on CITES; EUROPOL; Horn of Africa WEN (HA-WEN); Indian Ocean Forum on Maritime Crime (IOFMC); Lusaka Agreement Task Force (LATF); North America Wildlife Enforcement Group (NAWEG); SADC Rhino and Elephant Security Group; Southern Africa Wildlife Enforcement Network (WEN-SA); South America Wildlife Enforcement Network (SudWEN); and World Customs Organization Regional Intelligence Liaison Offices of Asia-Pacific (RILO AP) and Eastern and Southern Africa (RILO ESA). * Availability and content of information sheets based on responses by the different networks to the questionnaire circulated by ICCWC before the meeting. Directories of wildlife enforcement network focal points, and other enforcement and species specific focal points can be found here. - ASEAN-WEN: recent development of ASEAN-WEN, key activities, challenges and opportunities, Achmad Pribadi. 2. Exploring solutions to enhance communication and cooperation between and within networks, opportunities to promote the use of existing tools and services, and tomobilize support for the implementation of global obligations and commitments under international agreements through networks. Photos of the event, together with photos of CoP17, can be found here. 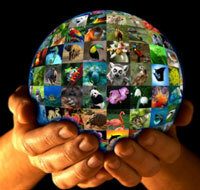 The meeting followed the first global meeting held in the margins of CITES CoP16 in Thailand (Bangkok, 2013).